You're literally just a blink away from looking like a hot mess. Whether you're a makeup pro or a makeup newbie, we're pretty sure you'll agree that eyeliner is tricky AF. Even if you've been drawing on your eyes for years, it's still a constant struggle to make your lines perfect and your wings perfectly even. 1. Your hands won't stop shaking when applying liner. And the worst part is you can’t help it—eyeliner just makes you so nervous! 2.You’ve worn eyeliner that smudged on your undereye area, making you look like a panda. A not-so-cute one at that. 3. Your eyeliner's usually ruined by midday. And by ruined, we mean it's completely gone. 4. Your attempts to even out your eyeliner usually end up in disaster. Getting those flicks right takes a lot of work. 5. You just always get ONE eye perfect. 6. You’ve been late to meetings/birthdays/brunches/important affairs because of your eyeliner. Hey, it takes time to look good, right?! 7. That time you had to apply eyeliner at the back of your Uber was literally one of the toughest moments of your life. Your calculus classes were so much easier compared to this. 8. You’ve had to re-do your makeup many times just because you couldn’t get your eyeliner right. Aaaaand you’re back to square one. 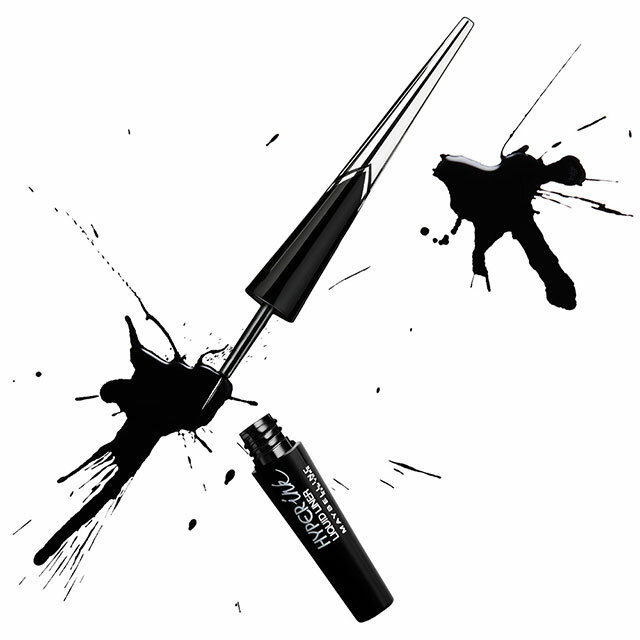 Bid adieu to your raccoon-eyed woes with the Maybelline HyperInk Eyeliner! It has a flexi-cushion tip, which absorbs a lot of pigment while being easy to control so you can say goodbye to streaky lines for good. We also love its long-wearing, smudge-proof formula that can easily last for up to 12 hours. And when it's time to take it off, don't fret: its film formula is super easy to remove, making it perfect even for makeup beginners. The best part: it's on sale at P149.50 from P299 until February 28, 2017. Time to hoard, girls! Check out the Maybelline HyperInk Eyeliner here, and visit Maybelline's official Facebook page to learn more!